Nevermore isn't melodic in the In Flames sense bro. Check out this track - my favourite Nevermore song. Make sure you listen to the chorus and the solo that follows. Brilliant stuff. Love your music, not your equipment. They are good. The riffs, the double pedals drumming is tight n punchy! But the chorus still very melodic type. I'm heading to HK tomorrow. Anyone know of any good metal/rock/indie record shops that sell vinyls? Not easy to find metal vinyls in HK. You can try Sino Center. Bro Samael started out as a black metal. Not the raw, grim type, more symphonic and polished. Huh? I think you need to dig a bit deeper into the band’s history to get the facts right. If you were talking about “Ceremony” album, well this one put the band in the “spotlight” indeed. It’s a solid record nevertheless. I did went Sino Centre. There mostly sell BD, CDs. Used and new. Not much vinyl. Went to HMV, the central branch, bought a few vinyls. Their price not bad, much cheaper than SG. 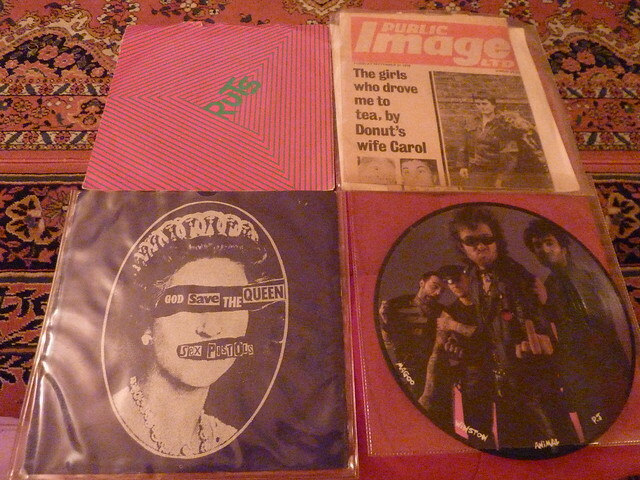 Also managed to track down another record shop at Causeway Bay, bought some as well. Overall I must say HK sells vinyl much cheaper than SG. Wolf's new LP, Legions of Bastards. Brilliant but under-rated Swedish heavy metal. 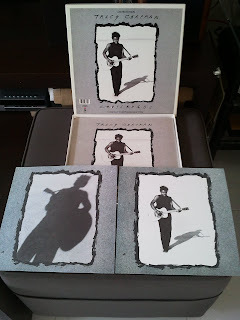 LP comes with CD, from Century Media. Third and undoubtedly the best release from the Norwegian band Virus. Think of Ved Buens Ende, later Ulver, Arcturus...brilliant avant-garde stuff. Now OOP. Witchfinder General boxset! Seems to be quite hard to find now. Got mine from Svart Records, during their free shipping promo last month. Recommended for fans of early BLACK SABBATH (Ozzy-era). Some I already have CDs but wanted the vinyl. My TT was in storage for quite a while having moved so many times but now premanently set up. So missing it and went on a buying binge. lol Have also ordered quite a few classical LPs ans waiting for delivery. Nothing to do during these cold nights but listen to music/movies and warm up. bro, side track abit. I have some LPs which kept for years and thinking to offload them, any recommendation on where can offer gd price? Post it in the sales forum HERE bro! that i know, if possible i want to clear as a whole, dun intend to sell piece by piece which takes alot of time too, unless bo bian.